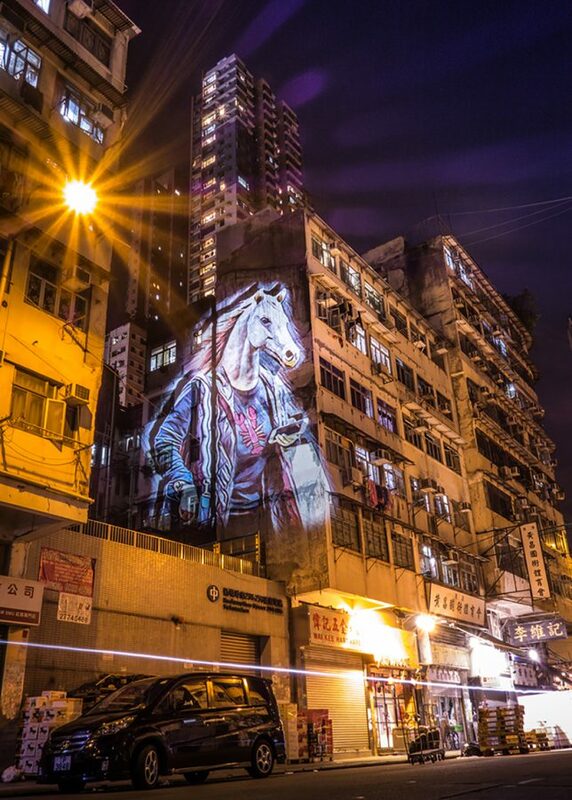 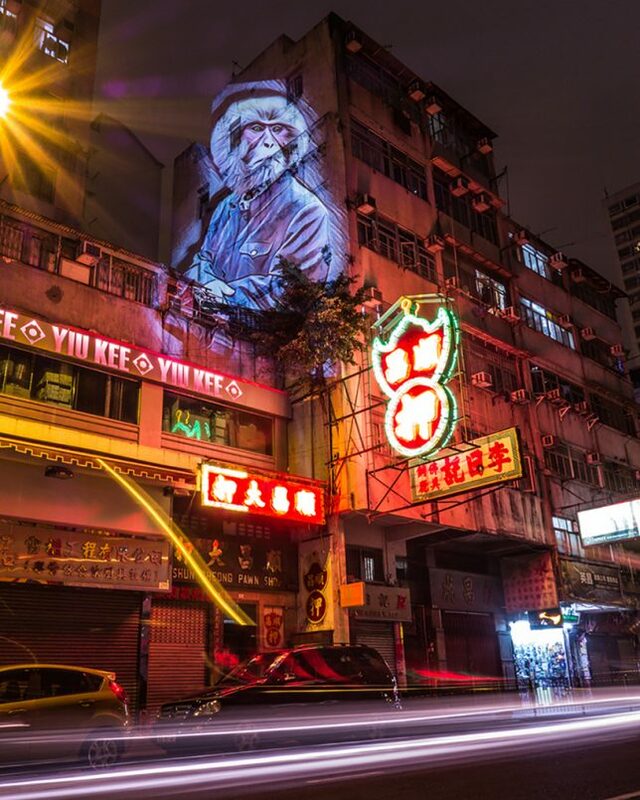 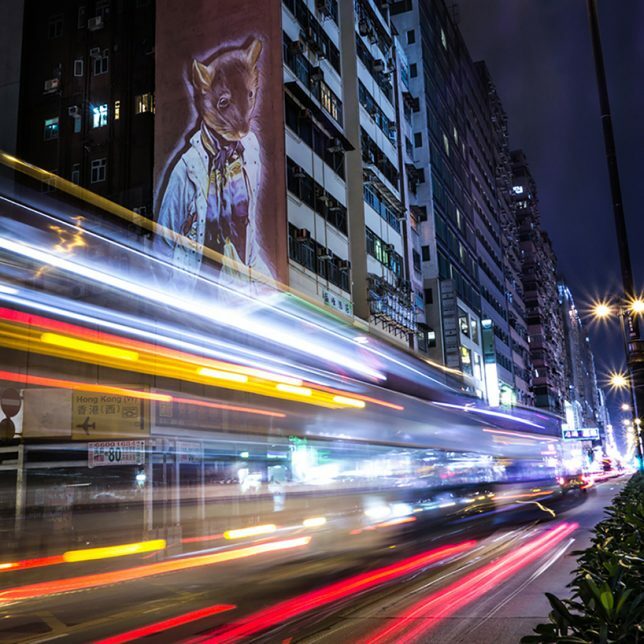 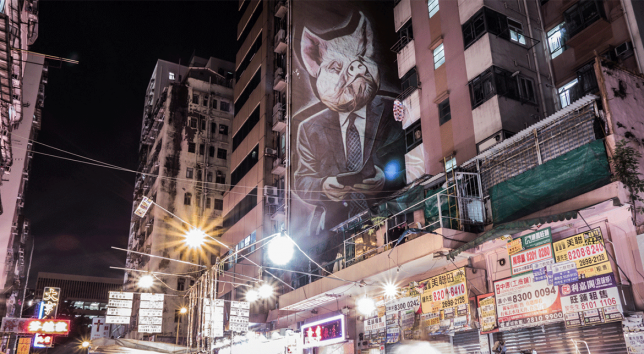 Three years after decorating Paris with smartly-dressed animals, street artist Julien Nonnon is back with a project that temporarily adorns the streets of Hong Kong with his own modern version of the Chinese Zodiac. 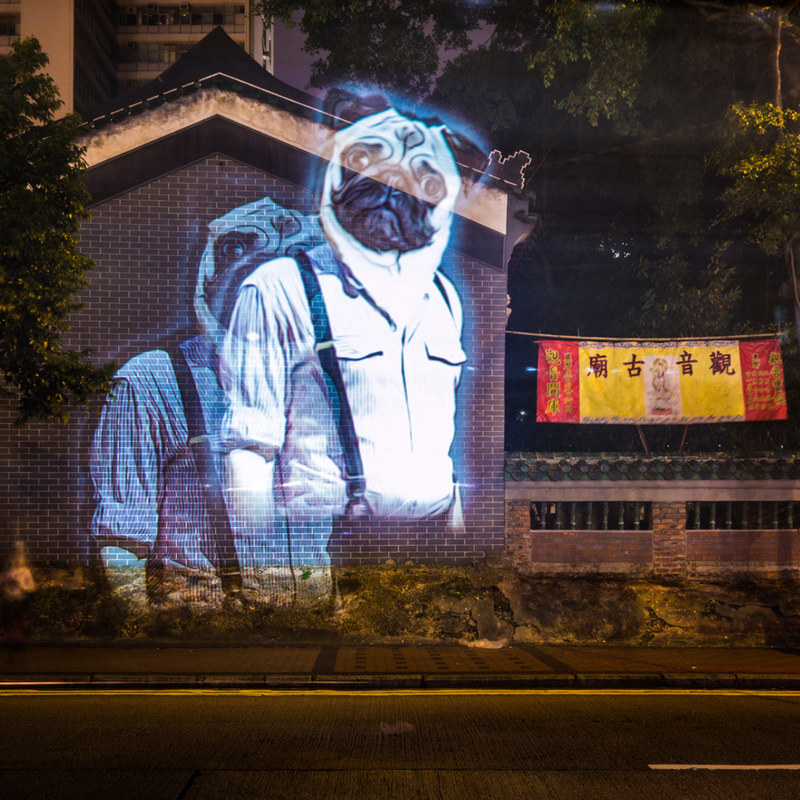 Founding member of creative studio Le3, Nonnon walks the streets of cities around the world with a mobile projector for a series he calls ‘Street Mapping.’ Ordinary building facades and other urban surfaces light up with imagery, captivating passersby for a few brief moments before disappearing. 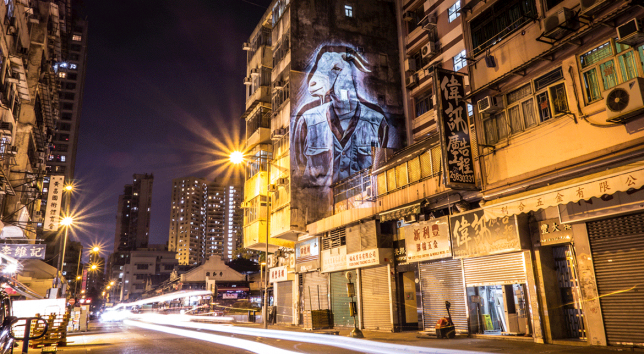 The traditional Chinese zodiac features twelve animals: ox, tiber, rabbit, dragon, snake, horse, goat, monkey, rooster, dog, pig and rat. 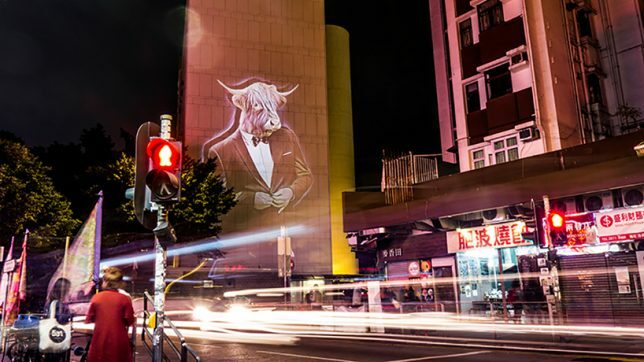 For this ‘Urban Safari’ series, Nonnon transformed each sign into an anthropomorphized character in contemporary clothing, each animal interpreted in various ways. 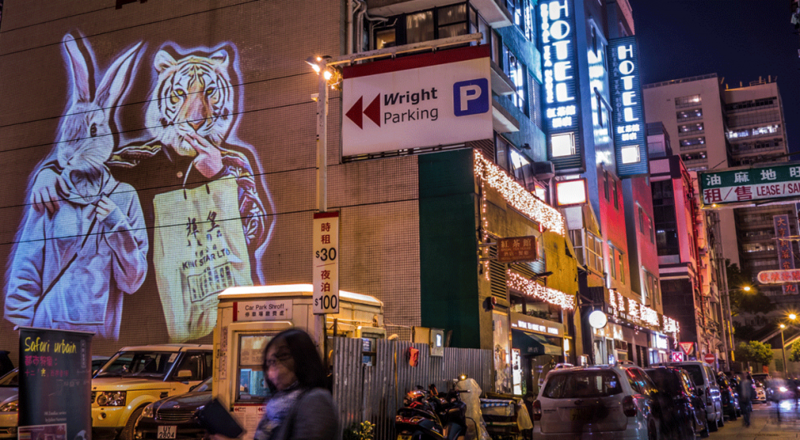 Many of the animals are holding cell phones or shopping bags, sipping coffee or gazing contemplatively out onto the city below. 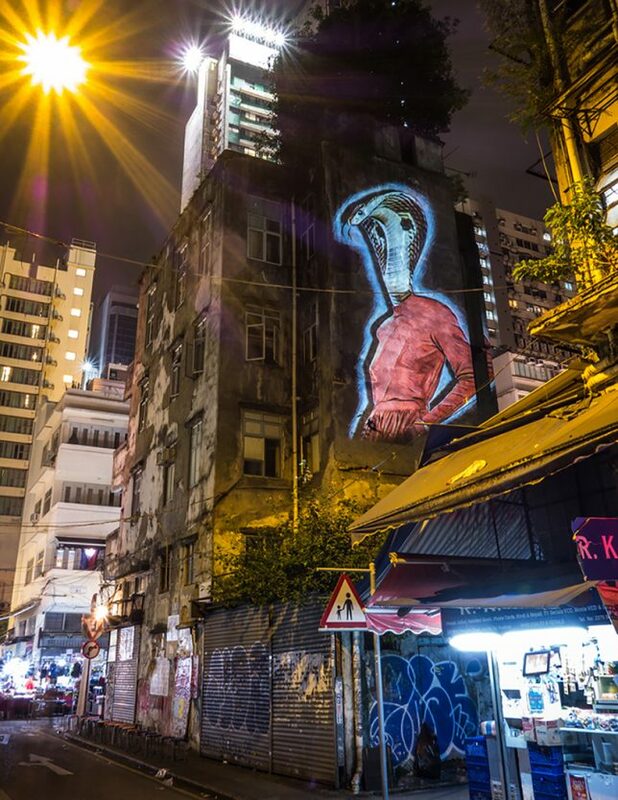 Some stand as high as six or seven stories, looking like phantoms wavering against the darkened facades of tall buildings. 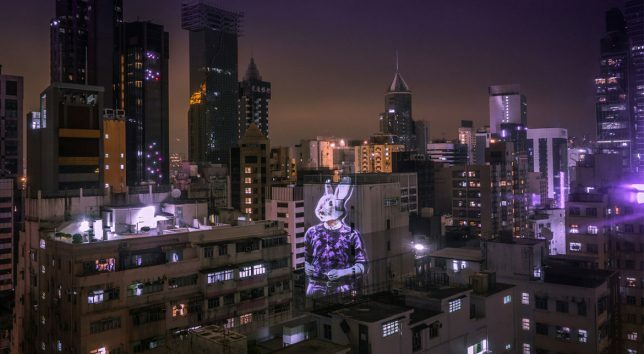 Nonnon doesn’t reveal his methods, only saying he developed his own tools to bring his work to life.